Everyone loves to see butterflies ... with their light and airy fluttering they rather lighten the mood of any observer. Fritillaries or Silverspots, in the genus Speyeria, comprise a conspicuous part of the summer insect fauna in many parts of the temperate zone ... and is entirely nearctic with no species occurring south of central Mexico. There are many distinct species and many more subspecies ...and among the butterflies in general, this group is one of the more baffling for taxonomists. 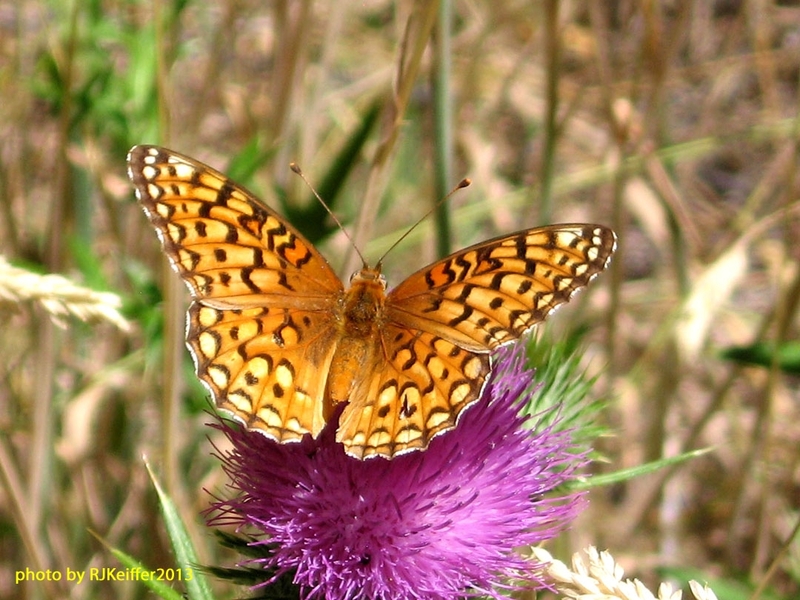 With variations of orange fulvous or ochreous above, with an underneath pattern showing "silverspots", this butterfly's orange and black "dice-box pattern" hence give it its name (fritillus is Latin for dice box). 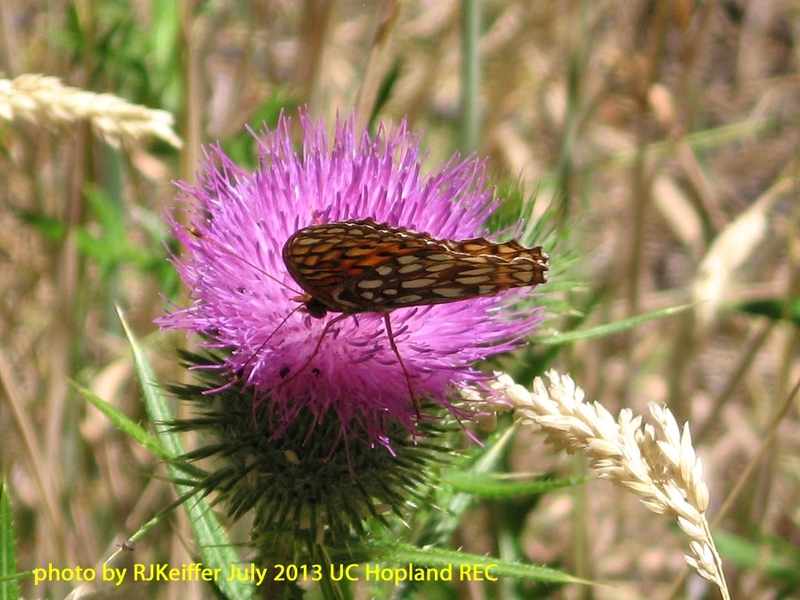 This butterfly's rapid and strong flight pattern leads it to such wildflowers as thistle, western penstemon, and milkweed. The larvae typically eat native violets or pansies. This specimen, photographed at the UC Hopland Research & Extension Center last week, is likely Speyeria zerene spp. conchyliatus which is found throughout the interior of Northern California and Southern Oregon.